Sometimes I wonder around the world on the internet. The following are some pictures I found that I loved. 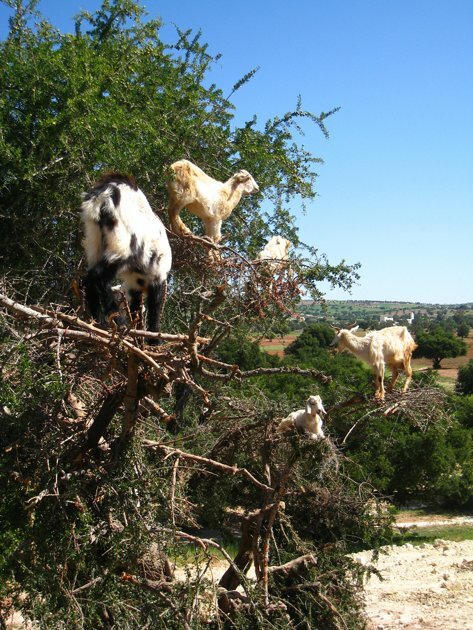 They are rather unbelievable even though I know that goats can go just about anywhere and eat just about anything. Enjoy! 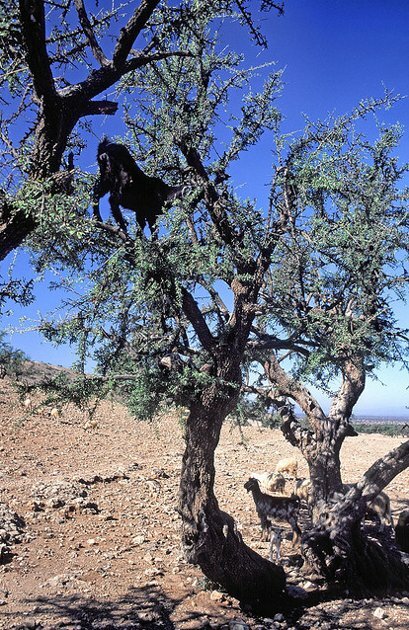 In Morocco, the native Tamri goats are so enticed by the berries of Argan trees that they have become adept at climbing the branches to reach their food. Even stranger still, the goats’ droppings contain seed kernels which local farmers then grind into an oil that is used in cooking and cosmetics. 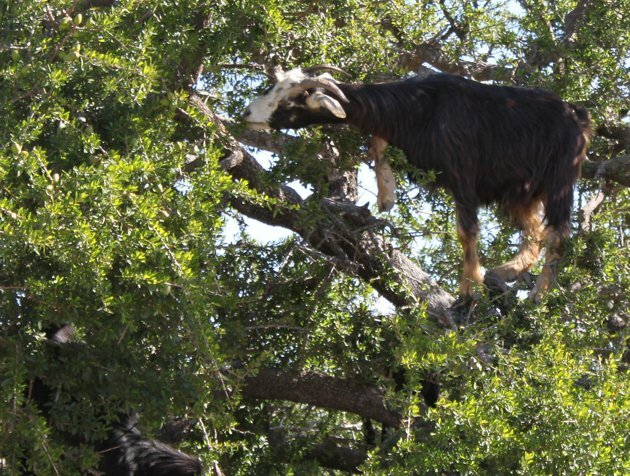 To read more about the tree-climbing goats, check out WebEcoist. I’m relieved, I thought maybe you had been to our house…haha. Neat pictures. 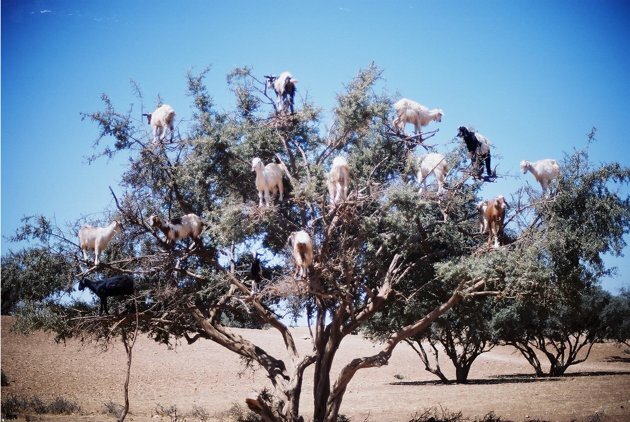 Ours climbed just about everything but I’m not sure I have seen them way up in a tree before! hahaha so did I! When I found out it was real, I just loved it.